If you are about to move then, you know that you need to reduce the number of belongings that you have. By getting rid of some of the things that you do not need, you can reduce some of the stress of moving in Sydney, and you can reduce some of the cost of moving. Before you begin packing to move you need to decide exactly what things you truly want to take to your new place, and what things you might want to leave behind. Of course, you cannot leave things behind, but you can have a garage sale and liquidate some of your stuff. 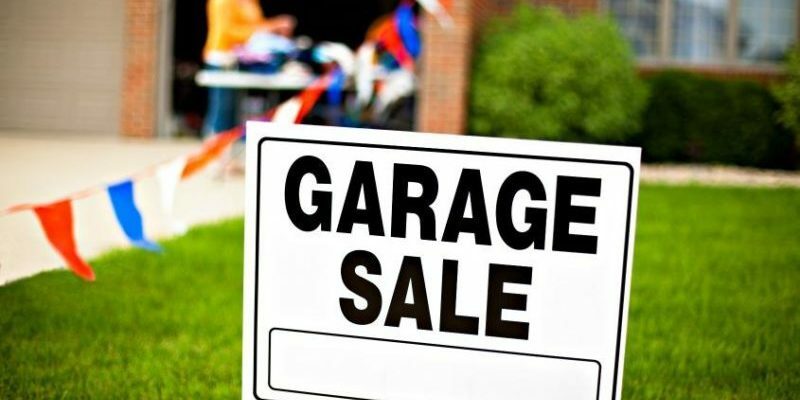 For you to have a successful garage sale, you need to read the following tips. Decide what day you will want to have the sale on. This will allow you to establish how much time you have to go through your possessions. Mark the date on a calendar, set it on a reminder on your phone, and tell all of your friends what day you have set aside for your sale. You will need tables or things that can work as tables to display the items you have for sale. You also need to decide how you will view items of clothing, such as hanging racks. You need to buy some garage sale stickers so you can mark each item with the price. Some people like to say all clothing is one price, or all books are one price. In these instances, you can create a sign to hang close to the items so that people can easily see it. Be realistic about the prices you put on your items. Just because you paid $100 for something when it was new does not mean that it is now worth $50. Look at the item and decide how old it is, does it still work correctly, is it stained, and how much would you honestly be willing to pay someone for an item exactly like it. Be ready when you have a garage sale people are going to try and talk you into lowering the prices on some items. Advertise your garage sale in local newspapers, on social media sites, put a flyer up in local markets and your church. You want to advertise at least one week before the sale, so people have plenty of time to come to your sale. Make posters that clearly show where the sale is located. Hang the signs along the route that the majority of people will use to travel to your home. Go the night before the sale and get change. You will need ones, fives and tens. You do not have to get any quarters or loose change unless you have things priced so that you need loose change. Get up early on the morning of the sale. Put your best smile on your face, and remember when people try to get you to lower your prices that you are trying to sell these items. Be flexible. For professional and affordable interstate removalists, contact Next Level Removals today. Call 1300 005 400 or email info@nextlevelremovals.com.au for a free quote. Why Hire Condo Cleaning Services? Do you live in a condo and need regular cleaning services? Or are you planning to move and need to clean up your residence after leaving? Well, then you will need professional condo cleaning services Edmonton residents can trust. The good news is that there are professional cleaning companies that provide low, affordable rates. They can help keep your condo clean or perform residential cleaning in case you are moving. Most condo cleaning services provide a discount when you book with them on weekly, bi-weekly and or monthly bases. So do not be frightened of the hourly rate, because when it all works out, it may be more affordable than you though. A regular or scheduled service lets you have your condo cleaned on a regular basis at a time of your choosing. This means that you can select a package that is once per week, twice per week, twice per month, once a month, or whenever it works best for you. Depending on your needs, you can work with the cleaning company to find the right times when they can come by and clean your condo. Residential cleaning services are performed for two basic reasons. 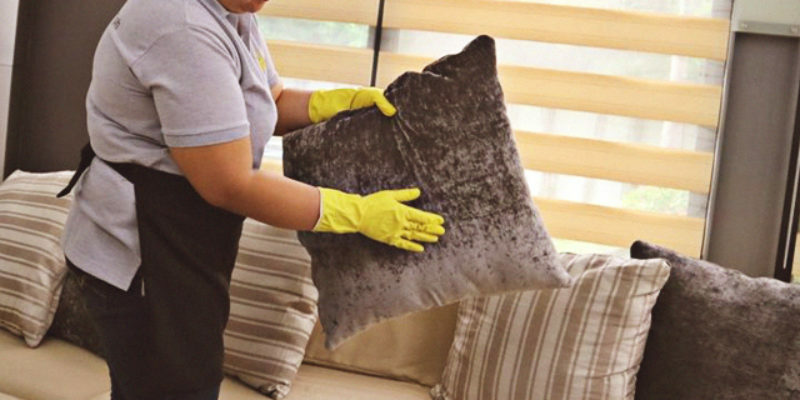 First, when you employ the company to clean your condo, they usually start with a deep cleaning to ensure that everything is fresh and like-new. Then they begin their regular cleaning services. Also, when you are moving out of your condo or perhaps moving in, and you need a deep cleaning performed. A one-time cleaning is when you have an emergency and need a quick cleaning. Or perhaps before or after a party, event, or get-together. There are good reasons why you should consider cleaning services for your condo. Especially if you are juggling work, family, and other responsibilities. Consider the time it takes to fully clean your condo, and you can see the advantages of having a professional service do the job. Something that may take you hours to perform is handled instead by a trained crew that cleans your condo and backs up the work. The effort it takes to clean is something that few people look forward to, especially after a long day at work or when trying to spend time with your family. Knowing that the work is being handled by a trusted company means that you can put your energy to better use. The package prices that the best cleaning services provide are designed to fit within your budget. Not only that, but think of what you could be doing with the time that otherwise would be spent cleaning your condo. Having an affordable cleaning service can be quite beneficial to your condo and your pocketbook. If you are looking for an example of a professional cleaning company, then check out Duty Cleaners. They are the best residential cleaning Edmonton company that is properly licensed and insured. They also have a stellar record of reviews and recommendations from satisfied customers. Should I hire a Solo Cleaner? Many people have run into the nightmares of hiring a solo cleaner, and in the short run it’s cost-effective, but in the long run, it’s more expensive. Why do we say that? We’ll solo cleaners are usually not insured and bonded, and so if your items get damaged or stolen, who pays? You. The headaches you go through are just not worth it over a long period of time. The lack of scheduling, consistency in cleaning, and below average customer service can cause more stress that wasn’t needed. Solo cleaners don’t use expensive software’s that track your schedules, notes you’ve put on file, and allow you to make changes when possible. So, if you needed the microwave cleaned this time around, you’d have to remind your cleaners, but what if you’re not home to remind them? Do you think they will remember? Most likely not. Does your solo cleaner use the best products to clean your home? Or are they using dollar store supplies that leave streaks on your floor? We use only the best products to clean your home, after testing thousands of homes, we know what’s best. Sometimes solo cleaners are non-experienced, and they will say “this stain will not come off.” When in reality, it will, by using the right cleaning solution. Solo cleaners do not have a brand backing them. Or a customer service line, a re-clean guarantee, or insurance in case of emergencies. Also, you know nothing about them. It is already dangerous to let strangers in your home with or without you there. But it’s even more dangerous when you know nothing of them. If you want that peace of mind, you will hire a professional cleaning service. This is why you should choose a professional cleaning company. Duty Cleaners have a reputation to uphold, as well as branding, customer service, and great reviews. When the majority of us think about moving we think about how hard it will be to pack all of our belongings. We think about the fact that we have to call all of our business associates, debtors, friends, and relatives and change our address. We think about the amount of time, energy and money we are going to have to invest in moving. All of those things are a part of moving. Moving can be stressful, it can involve a lot of hard work and heavy lifting, and a lot of planning and organization. There are also positive aspects of moving. When you move you have the opportunity to look at all of your possessions and decide which of those possessions are necessary for your life. You get the opportunity to take an inventory of everything that you own and to get rid of the things in your life that are not either bringing you pleasure or helping you do something. Even if you move to another house in the same town or on the same street you will be getting a change of scenery. Your new living space will have something new for you to look at. You will not feel like you are stuck in a rut that you cannot get out of. Things will look new and fresh and you will be able to take a new joy of living. When you move you will get to experience new places, like new restaurants, and new stores to shop at and you will get to meet new people. You get an opportunity to broaden your horizons and add to your life story. You also get an opportunity to leave things that were bothering you behind. You get a chance to not live next door to a neighbour that you might not have been getting along with, and you get a chance to have a bigger space, or a bigger yard, or to live in an area where you can pursue your favourite activities more often. Moving is a time when you start a new chapter in your life. This is a time when you get to decide if you might like to live by the water, or move to the mountains, or live near a gym, or closer to your children’s school. Moving lets you have new opportunities to make the changes you want to make in your life. When you think of moving you will start to think of some people and think about how much you hate to leave those people behind, or how much you hate to create a distance between you and those people. The people you think about when you are perfectly planning a move are the people who are the most important to you in your heart. They are the people you really care about. Moving lets you discover which people you really consider to be your friends. Australia is a beautiful place to live with a high standard of living and a low poverty rate. Seventy-five per cent of the people living in Australia live on or very near to a beach. The people of Australia are very loyal and committed to their country and their fellow Australians. 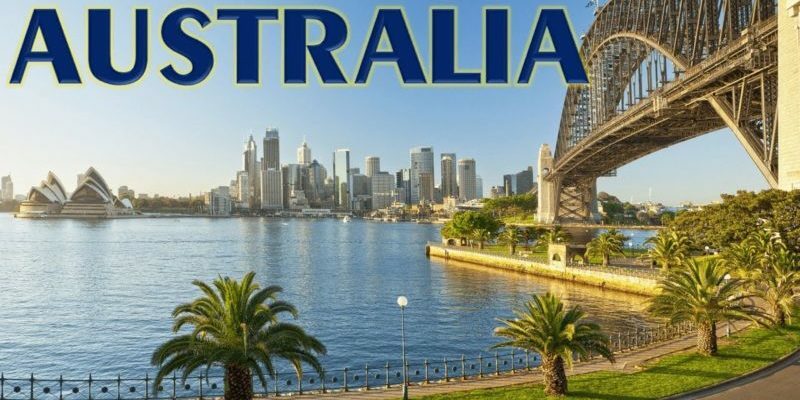 If you are considering a move to Australia your biggest problem may be in deciding where in this beautiful country to settle down. Sydney is one of the major cities in Australia and of course, it is home to the Sydney Opera House. Many people want to live in this pulsing metropolitan area, and yet many other people looking for the Australian experience in places that are less costly to live. Hobart is one of the places in Australia that is starting to grow in popularity. In Hobart, you can live in Australia at a lesser rate than it would cost for you to move to Sydney or Melbourne. You will find contemporary art galleries in Hobart, and unique food and drink specialist. To make your move to Hobart smooth and uneventful you will want to find interstate removal specialist that can take care of every portion of your move. If you want to find a place in Australia to live where you are more likely to succeed financially, then you need to consider moving to Canberra. The people of Canberra make about three hundred dollars per week more than the average Australian makes. There are a lot of political and public servant jobs available in this portion of Australia. The hospitality scene in Canberra has created a remarkable renaissance in the city. Moving is a difficult time and requires a great deal of organisation, packing, and planning unless you hire removalists who are professional, experienced and reliable to do all of that work for you. Gold Coast living is about twenty per cent cheaper than living in Sydney is. Housing is cheaper, and all other factors such as food, entertainment, and transportation are less expensive in the Gold Coast. The Gold Coast is located in the corner of South East Queensland, and it has 66km of golden coastline for you to enjoy. The beaches here are beautiful and plentiful, so you will get to enjoy plenty of days in the sun, surf and sand. If you like outdoor activities and attractions, then this is the perfect city for you to relocate to. When you consider relocation to the Gold Coast region of Australia, you should also consider hiring professional removalist to help you pack your belongings, move your belongings, and place those belongings in your new home. Moving is a stressful time in your life, but with the right help, it is less stressful and more enjoyable. Most people are aware of how time-consuming, stressful and expensive moving home can be. But not many people realise how dangerous it can also be. With so many heavy objects, and the potential to slip over, lift something incorrectly, or for something to fall on you, if you are not careful you can end up causing serious injury to yourself. Trying to save money on removalist costs can quickly turn into expensive health care costs, especially if you need to miss time off work. It’s typical for moving injuries to happen in just a second, and often with no notice, which makes it essential to always be on alert. By being careful, you can help to minimise the risk of injury. Let’s take a look at how to avoid injury when moving house. One of the most common moving day injuries is muscle cramps. It’s also an injury which can be easily avoided. Before you start on moving day, do a quick stretch. This will keep your muscles warm. While stretching is often only associated with sports, you are going to be undertaking a lot of physical activity and bending, twisting, turning, and most likely using muscles you don’t regularly use in your day to day routine. Also, keep hydrated throughout the day. Take regular breaks when you start to feel tired. By avoiding fatigue, it will also help to decrease the risk of injury. The best clothes to wear are the ones which are easy to move in, Tight fitting clothes restrict your movement, and may lead to a higher chance of injury. Likewise, any baggy clothes may get caught on any latches or door handles. The best option is to go for form-fitting clothing which is breathable, movable and comfortable. Do you have steel-capped boots? If so, make sure to wear them. Otherwise, wear closed toe shoes. This will help protect your toes and feet if you drop anything on them accidentally. It’s also recommended to wear protective gloves. They will help to prevent any scratches, cuts or blisters, and also give you some padding in case you get your fingers or hands jammed in anything. When you are preparing to lift heavy items, may sure to bend at your knees. Do this while still getting a grip before you lift. If you instead bend at the hip, it will cause your back to do the heavy lifting, instead of using your legs. This is the number one way that people injure their back when moving, and the damage can end up being long-lasting. It’s crucial to keep your back straight and upright at all times. Grip heavy furniture from the bottom, and place your hands as wide as possible to improve your balance. Make sure to only life items which you can carry on your own. Better Health has a guide to reducing or eliminating manual handling risks and injuries. Any furniture which is too heavy you should never attempt to carry on your own. Ask some friends or family to help. Make sure anyone helping also follows the above advice, so that they come dressed for moving, and lift using the correct method to avoid injury. Also, have one person to guide you instead of lifting themselves. They should help you navigate through the house and only the moving truck. Along the way, they should let you know of any doorways, steps, or ledges which are approaching, and guide you to navigate them safely. The best way to prevent scratches, dings and dents to your furniture is to keep it thoroughly protected. Use bubble wrap, old sheets, blankets, and padding. Doing so not only protects your furniture from damage, but it also helps to reduce the risk of any injury which may happen when dropping or putting down furniture. If the furniture is too heavy to move safely, no matter how many people you have helped, then it’s time to use moving equipment. By using trolleys, dollies, hoists, straps, rollers and sliders, you will be using the same tools which professional removalists use. They not only reduce the distance you have to physically carry heavy items, but they also help to reduce the risk of injury. If you don’t have any moving equipment, you can usually hire some from your local hardware store. Before you start moving, move any obstacles from the hallways and walkways. Things such as mats, rugs, doorstops, and shoes can be hard to see while carrying heavy furniture. They are a considerable hazard, which can lead to tripping, as well as dropping and damaging your furniture and your home, such as putting dents or holes into walls. Tripping over items is a massive cause of serious injury, and also has the potential to hurt those around you too. Also, make sure that every door is fully open before moving so that you don’t have to try and open a door while you are carrying furniture at the same time. Sometimes trying to save some money is not worth the risk of injuring yourself or damaging your furniture while moving your belongings on your own to your new home. Do you have a lot of heavy furniture which needs moving? Do you need to navigate stairs? Maybe it’s best to leave the heavy lifting to professional removalists. After all, moving staff are experts who have undergone thorough training, and use professional removalist tools as well as protective equipment, to safely move your items from your old home to their new home. By using professional furniture removalists, it also makes sure that you don’t suffer from any injury! Are you moving home and feeling overwhelmed by the number of things you need to move? Do you not have enough fit and strong people to move all of your belongings safely? Well, Next Level Removals are here to help. Our professional removalists are trustworthy and reliable to ensure your furniture arrives safely at your new home, without injury or damage. We also provide packing and unpacking services to make your move easier, and are fully covered by insurance for peace of mind. Contact our friendly customer service team today for an obligation-free quote on 1300 005 400 or contact us online. 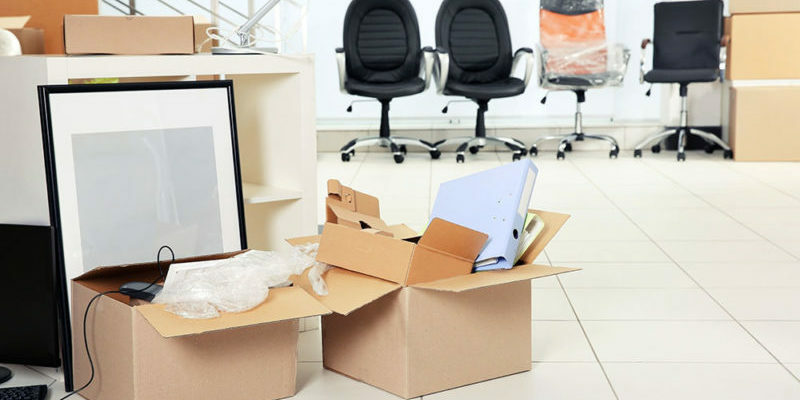 Preparing to move your office is a lot more difficult than moving to a new home. After all, it’s vital that your business still stays productive and operational during the moving process. As the saying goes, time is money. Careful planning in advance along with a professional removalist allows you to minimise the disruption to both your customers and employees. It also lets you make sure the move goes according to plan. The first thing you do should be to set a time frame regarding your move. Once you have set your final move out date, which is the date everything must be moved out of the office, it’s time to work backwards. Allow a few extra days to get everything organised and packed before your move out date. It’s recommended to make a list of everything so that nothing is overlooked before the moving trucks arrive. Once you have organised the schedule, notify your staff as early as possible. You should hold a staff meeting to advise them of all the details. After the meeting also send an email with further information in writing. Every staff member needs to be advised. If there are staff members away on training or off-site, try to wait until everyone is in the office at once. What about staff members who can’t attend? You should have a separate meeting with them once they return and have read the email. Advising staff in advance also gives them enough time to research new travel routes as well as consider any other options. Some people do not cope well with change, so don’t be surprised if people are completely resistant to the move. Some people may be comfortable where they are and settled into a routine. People need to change their transit schedule, and also consider the distance if the new office is far away from their home. You should give your staff plenty of notice, and have a platform to ask any questions and address their concerns. By telling staff early, the process also gives them time to adjust and prepare for the move both mentally and physically. But just how long is enough time to give your employees notice? It’s unreasonable to provide them with only a few days or a week to prepare, even if you are moving a short distance. While many office moves are planned as much as 6 or 12 months in advance, it’s recommended to give your staff a minimum of one month notice, but ideally, it should be between 3 to 6 months. The earlier you involve staff in the moving process, the more productive it will be. It will also help to maintain a positive office environment. Consider setting up a move committee to not only help plan and organise the move but also to help make the transition more comfortable for the rest of your staff. You can ask for volunteers, and make them the first point of contact for any questions or concerns other staff members have. The committee should also review all of the tasks which need to be completed before and leading up to the move, as well as assigning any roles to these tasks as required. As the move gets closer, it’s likely there will be additional tasks which get added to the list. It’s easy to forget things on your own, which is why having a committee to help makes sure you don’t overlook anything. Be sure to remember to update your business address details with ASIC within 28 days after you move to your new office. Be sure to set up an external communications plan. This lets your clients and suppliers stay up to date with your business activities and allows your business to be operational for longer. It also advises of any downtime which will occur during the move. It also is a chance to communicate any new phone numbers your business will have, as well as informing them of your new physical office address. As well as advising your external stakeholders, it’s just as important to have an internal communications plan also. Send regular email updates to all staff keeping them informed during the moving process. Also, put up signs in the office with any important updates. Having a committee who has regular meetings is a great way to keep communication open between management and employees. Have the committee send an email after each meeting with the latest updates and minutes from the meetings. This can lead to low morale, and also to staff not feeling valued or respected and looking for a new position at another company. Remember, moving office is a big deal for both you and your employees. It’s a change of location, routine, opportunities, and potentially lifestyle. Keep everyone feeling in the loop and maintain an open line of communication to address any concerns. Creating a layout plan for your new office lets you figure out the layout in advance before you move. Having the committee assist with the planning helps to figure out where everything will go in the new office, as well as the physical seating location. It also lets you get employee feedback on the new layout. While offering a chance to resolve any issues before they arise in the new office. The more detailed the plan you create, the easier it will be during the moving day. The plan also lets Removalists know where everything belongs, and they can set things up much quicker. It’s likely that not all of your employees will be happy about moving. If that is the case, then you need to keep a positive message. It will help them focus on the benefits of moving to a new office. Even the most apprehensive staff may warm up to the idea over time. Once they can start to see that the benefits outweigh the inconveniences. 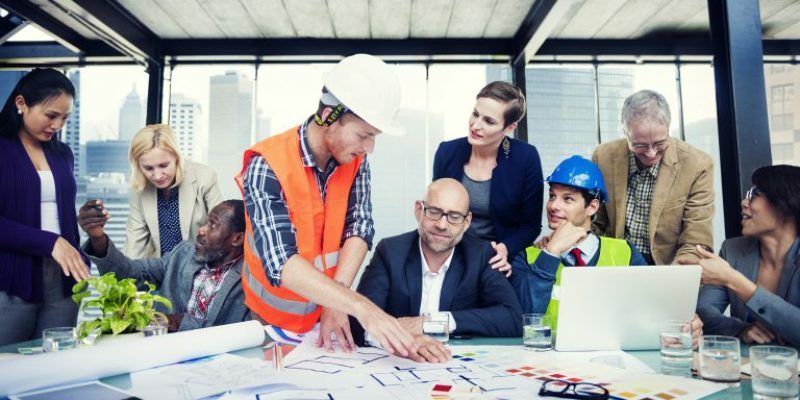 Although you should also prepare for the situation that some staff may choose to leave the business instead of move to the new office location. What if you don’t have enough time? It’s understandable for you and your employees to focus on work instead of packing the office. Consider hiring professional packers to do it for you. This will allow you to continue running your business as usual, while packers prepare all the office furniture in advance of moving day. Let employees pack their own desks. It also allows them a chance to get rid of anything they no longer want to bring to the new office. Finding a professional removalist can be the difference between a moving nightmare, or having your business back up and running at your new location right on time. Make sure to thoroughly investigate Removalists to find the right one for your business. Next Level Removals offer office removals 24/7 to fit in with your business operations. For a free quote, contact us today on 1300 005 400 or email info@nextlevelremovals.com.au. Whether you want to move to another house or you only want to change your furniture, this process is not as easy as you may think. Large furniture pieces such as couches or mattresses can be safely moved using the right techniques and tools. Here are some tips for furniture moving in order not to produce any damage neither to your furniture nor to your walls and doors. The first thing to do before moving your furniture, is to measure the doorway. Before moving, you need to ensure that your furniture fits the doorway. Very often, people miss to measure the doorway and they damage the sofas and couches, and worst, they damage the doors, leaving them an easy target to thieves and burglars. If the furniture fits through the doorway in one piece, that’s perfect. If not, try to dismantle it, but pay attention because once you do this, the furniture may become more fragile. To protect the doorway, you could use quilted pads. Is important to use blankets or plastic to protect your furniture while moving, otherwise you might end up having scratched furniture. Wrap the furniture completely with moving blankets and secure it with duct tape. This way you’ll protect the fragile edges of your furniture. Using furniture sliders, harnesses and lifting straps will help you protect the furniture and your back. Furniture sliders will protect your floor and carpets from getting damaged and scratched while lifting straps and harnesses help you move the furniture much easier and much safer. This kind of tools is also used by professional movers. Taking of the legs of chairs, tables or couches can help you by getting you the extra inches required in order for your furniture to fit through narrow doorways. Pay attention not to damage the furniture while taking the legs off, nor to break them. Also, be careful to lift the furniture with your legs, not with your back, to prevent injuries. You should keep in mind to bend at your knees, not at your waist to prevent injuring yourself. If moving your furniture made you damage the door, don’t underestimate this and call a local locksmith in order to check the door and provide security. Domestic security is extremely important, don’t neglect this aspect. A locksmith is equipped with the most modern tools and instruments and is able to do any repairs to your door in a situation like this. Usually, people who move their furniture hit the deadbolts and damage the door without even realising it. Take caution and after finishing the moving process, check your door and locks to see if they still work properly. If not, always contact a professional locksmith. So you’ve just received a job offer for the job of your dreams. It’s everything you’ve always wanted. Higher pay, it’s in the field of your passion, you have s great respect for the company. What’s the catch? There’s just one problem; it’s on the other side of the country. If you accept your dream job, you will be required to move long-distance in a short time. Tick tick, what is your decision. How is it easy to make such a huge, life-changing decision in such a short time? How can you pack everything and transport it to your new home safely, without making any mistakes, leaving something behind, or damaging your most valuable items? Chances are unless you are an experienced professional, you may make some mistakes. Especially without proper planning and trying to get things done quickly. Luckily Next Level Removals, are experienced interstate movers. We have helped hundreds of people relocate interstate, even at last minute notice. If you are currently a job seeker, you may be eligible for relocation assistance to take up a job. 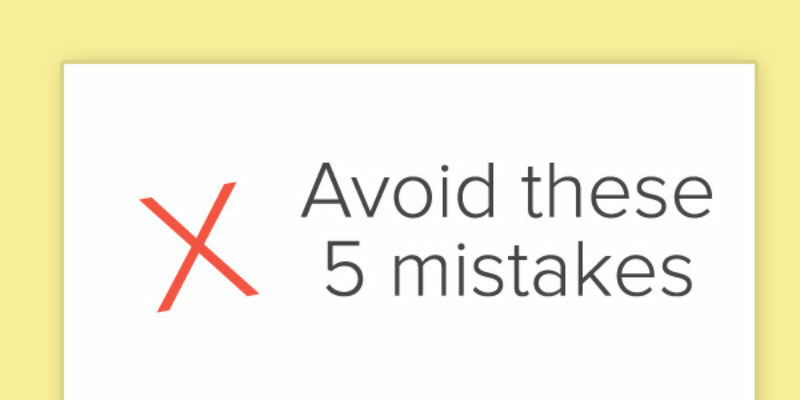 Before you say yes to your job offer, make sure to watch out for the most common and important mistakes (and how to avoid them). Otherwise, they can have both costly financial and psychological mistakes. The most common reason someone relocates is for a new job. Although usually, they will consider the job offer first. Then go and visit the new location – and explore the culture and the surrounding areas. They also consider the price of homes in the area, and how safe and friendly the neighbourhoods are. The location of schools also plays a factor for anyone with young kids. Then once they have decided to accept the job offer, they start searching for an affordable home which meets their budget and is also located relatively close to their new workplace. But there are some mistakes that people don’t do during this process. They don’t consider the cost of living in all of the areas throughout the neighbourhood. They don’t do a commuting test run, by driving or on public transport. It’s important to do this during peak hour on a workday – from each potential new home straight to the new office location. Another mistake is not networking with professionals who are in the same age range or asking local business people for advice. Which is another way to say, they didn’t thoroughly research their new location. You can build a network of professionals and reach out to them for advice. Numbers can help you work out if you can afford to move to your new location. But it is ultimately people who will let you know if you feel like you will fit into your new environment, and if the transition will go smoothly. What’s Next have a handy guide for relocating for work and what factors to consider before making the decision to relocate for a new job. Finding an effective real estate agent can be difficult, especially with a tight timeframe. A lot of people rely on a referral from a friend, colleague, or family member – but that doesn’t always mean it is a honest and trustworthy referral. You should do your research to find a reliable, proven and knowledgeable real estate company who will be able to help you sell your home, and buy a new one. It’s almost impossible to sell your home, buy another house and move in right away. Especially in time for when your new job starts. The most likely scenario is that you will need to find another place to live for a few months during the completion of the sales process. People tend to overlook the expense of temporary housing. Hotels can become very expensive if staying for more than a few weeks. While Airbnb generally is for stays of up to 28 days. By looking at local rentals and speaking to a real estate agent, you may be able to find a short-term rental in your new town – especially if you are planning to buy a new home with them. Daily commutes and living costs add up fast. Even when making a guesstimate, they usually turn out to be much higher. There are almost always extra costs which you didn’t allow for. Depending on the city you are moving to, to afford to live near your new job, you most likely will need to find a home in the suburbs. You will also need to make a daily commute of 30-60 minutes each way, five days per week. Having to commute so long each day affects your quality of life, as well as adding expenses. Most people overlook the cost of either petrol/car maintenance or public transport fare. To avoid this common mistake, reexamine where you are planning to live. Ask yourself if the pay rise will end up being worth spending more time in your car or on public transport. It might seem like the most cost-effective way to move is to do it yourself. But DIY relocations have their risks. Not only can they cost you time, from inefficient moving processes, they can also potentially lead to injuries if you don’t know how to move and lift heavy and bulky items correctly. There is also the chance of damaging items during transport if they are not properly secured. DIY moving also takes a psychological toll on the person moving. It can be extremely time-consuming, stressful, and lead to anxiety. You will need to purchase packing materials, then go through your entire home and carefully box and pack everything. Then you’ll need to ask some friend or family to help move the heavy items and pack them, then you need to drive to your new location with your belongings, and lastly unpack everything. This process can be exhausting, especially if you are doing it over the weekend before you are going to start your new job. Instead of adding more stress on top of moving to a new location and starting a new job, hire professional movers to take care of the relocation for you. They will ensure everything goes smoothly, allowing you to put all of your energy into focusing on your new job. Next Level Removals are professional removalists who take away the stress from relocation. Whether you are moving interstate, or to a new city, we have helped thousands of families relocate to start an exciting new job opportunity. Contact us today on 1300 005 400 or via our online form for a no-obligation quote. Choosing a Sydney Removals company can be a big decision. It will affect the entire moving day experience – either positively or negatively. Moving home is a stressful time, and your removals company should support you through every step of the journey. You should be confident that they will securely and safely move all your belongings to your new home. As well as that you can trust them with your life’s belongings. 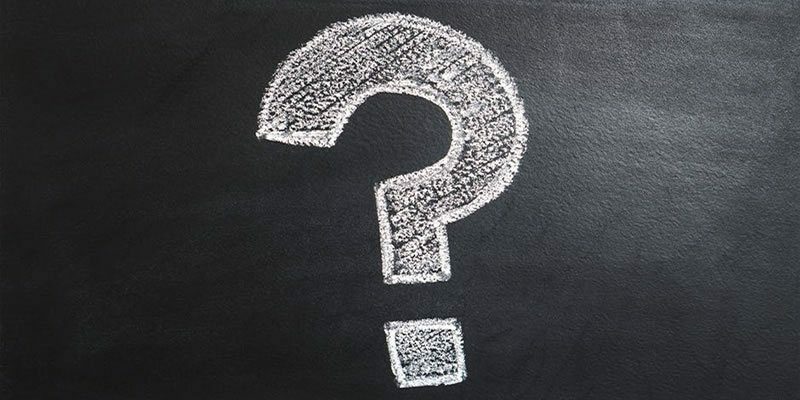 Here are 7 Questions To Ask Your Removalist Company. 1. 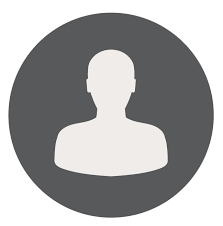 Do You Have References or Testimonials from Previous Clients? Most removals companies will include client testimonials on their website. But, these are often curated to provide the best of the best reviews. Besides checking out the testimonials, be sure to ask your friends, family, and co-workers of their opinion. Also, ask if they have dealt with the company before, or know someone who has. What was the overall experience like? Another way to find unbiased and trustworthy reviews is to check the Google Reviews for the removals business. Next Level Removals have a score of 4.7 / 5 with over 600 customer reviews left to provide peace of mind. You can expect quality, professionalism, and reliability with every single move. 2. How Will The Removalists Move Your Belongings? This lets you find out about the mode of transport the moving company will use to transport your items. Will they use a truck? If so, do they own the truck? What tools do they use to move, load, and unload your items from your home to the truck? How do they secure your items to ensure they don’t move around or potentially fall over? They should be able to explain the materials and methods they will use to keep your items secure. As well as how they protect fragile belongings with blankets, cardboard, bubble wrap. Will your items be the only ones in the truck, or do they offer to backload? If so, how will they make sure to not mix your belongings up with someone else? Will they use a container to move your belongings? If so, how will they make sure your items are safe during the transit process and loading and unloading? Are their removalists employees or contractors? Employees tend to be more skilled and also take a greater level of care with your items and pride in their work. As they are striving hard to keep the reputation of the business they work for. They also will go out of their way to deliver outstanding service. 3. Do they have industry accreditations? By having industry accreditations and associations, it allows removalist companies show they are committed to providing outstanding service to their clients and care about aligning their practices with industry best practices. The Australian Furniture Removers Association (AFRA) is considered the highest and most respected accreditation in Australia. 4. Does The Removalist Company Provide Insurance? If you have valuable and sentimental items or are moving long-distance, then it’s recommended to take out insurance. Many removals companies offer transit insurance. So be sure to ask your removalist company, and to find out exactly what the insurance will cover you for. Next Level Removals is a fully insured company. We provide transit insurance for your peace of mind to make your moving day a stress-free experience. 5. What Does The Quote Include? Some removalists, particularly the cheapest ones, have some extra fees not included in the initial quote and buried deep in their terms and conditions. You should ask your removalist directly if there are any extra costs which are not included. If a business is not upfront about their prices, what else are they not being upfront about? There have been some horror stories of families arriving at their new home, only to have their belongings held ransom until they pay additional charges from unexpected and nasty moving day surprise fees. Don’t let this happen to you! Next Level Removals offers an open pricing policy on all quotes. Which includes a tailored moving quote with all costs disclosed upfront. This allows you to plan accordingly and have confidence that when you arrive at your new home. Also, relax knowing there won’t be any extra costs or fees. Also, before you agree to a moving quote, be sure to clarify with your removalist if you need to pay a deposit to secure your booking. Otherwise, in the worst case scenario, the moving company may not show up on moving day as you weren’t aware you had to pay a deposit in advance. Also, sometimes plans change. Will your removalist need you to pay a cancellation fee if you no longer plan to move on the date you booked? Contact us for a free moving quote in Sydney. 6. How Much Experience Do Your Removalists Have? This will help determine how professional the removalists are. The longer they have been in business, the more experience they have to securely and safely transport your belongings. For regular boxes, this may not be an issue. But when it comes to heavy and larger items like a pool table, sofas, large furniture or valuable antiques, you want to know that your belongings are in safe hands. All of Next Level Removals staff have been professionally trained, and each has a minimum of 5 years experience. So that you can relax knowing that your items are in safe hands. 7. What extra services do they offer? Most removalist companies understand how time-consuming and stressful moving can be. Which is why they offer extra services to make the process as easy as possible. Next Level Removals offers a packing and unpacking service, either for your entire home, a small apartment, or just a few fragile items. We also provide short-term and long-term storage in partnership with national and local 24-hour storage facilities in Sydney, Brisbane and Melbourne. To find out more, or if you have any questions, check out our FAQs, or contact our friendly team today via phone 1300 005 400 or request an obligation-free quote online. Electronic devices such as TVs, laptops, computers, tablets, video game consoles, and stereo systems, are all vital parts of modern homes. But, they are also usually very fragile and require special care when handling and packing them! Are you wondering how to pack electronic devices when moving home? We’ve got you covered. While some people tend to worry about transporting their fine china or ornaments, most removalists Sydney to Brisbane understand the importance of moving your electronic items safely. Besides some being heavy and bulky, it’s not the only thing to worry about. If you don’t pack items correctly, there is a risk mechanical failure may occur, due to a physical shock. Most people believe that an idea must be dropped to be damaged, but that’s not the only way it can occur. There are other factors like shaking the device too much. Or environmental factors like rain, humidity, and freezing temperatures. Here is a guide for how to pack electronic devices when moving home the right way. The first thing you will need to do is to buy the packing materials so that you can properly pack your device. It is important not to skimp or try and cut corners on packing materials. Trying to save a few dollars on some bubble wrap, can lead to a device worth thousands of dollars becoming broken or damaged. Make sure to switch off all of your devices and unplug them from the wall. Electronic devices need to be disconnected and sometimes dismantled before packing them. It’s recommended to go through the manufacturer’s manual first to check if there are any special instructions you need to follow before you disconnect, dismantle, and move your device. If you’ve thrown out the manual (who hasn’t! ), don’t worry, you can easily access most of them online now directly on the manufacturer’s website. Before you start disconnecting all the cables, use your phone to take pictures of exactly how the cords connected to each device. Once you have, then disconnect all the cables, such as video, data, power, keyboards and any other devices. When it comes time to set up the devices at your new home, you’ll be glad to have taken a few seconds to take the photos, as it makes it much easier to set everything up again! Keep all the cables and wires for each device neatly together, Use twist ties to tie them, and then put them in sealable plastic bags. Also, be sure to label each bag, so you know which device the cables belong to. Place all the cables and wires into the same box as the electronic device which they belong with. Don’t forget to remove any external storage devices or media like CDs, DVDs, and external hard drives from the electronic device. Keep them in their cases. If you have any printers, remove the toners and ink cartridges and keep them in a sealable bag. Wrap each device carefully with bubble wrap or packing peanuts. Make sure you only use anti-static materials, and never use anything which can conduct electricity – this could damage your device. Wrap each device individually. You should make sure that no two devices rub against each other. If they do, it may also lead to causing damage. On the bottom of each box, place a thick layer or two of bubble wrap. If you no longer have the original box for the device, then instead you can use thick cardboard boxes. But be sure only to put one device into each box. Carefully put your electronic device into the box. Use bubble wrap or packing peanuts to secure any gaps in the box. You should ensure that there is no empty space anywhere which would allow the device to move in transit. This is a crucial step, and it’s often the main reason why electronic items get damaged in transit. It’s better to overfill each box not to have enough bubble wrap or packing peanuts. So you don’t lose remote controls, pack them with the device they belong to. To be super organised, put them in the plastic envelope which the owners manual came in. Next, make sure to seal the box using packaging tape. If the item is heavy, then reinforce the bottom of the box with a few layers of tape, to stop it breaking while being moved. Label every box with a permanent marker what is inside, and also write FRAGILE and THIS SIDE UP. Do this on all sides of the box, and make sure also to draw a big arrow pointing upwards. This will make sure that the removalists take extra special care when handling these boxes. It’s always recommended for professionals to take care of moving your electronics. They have been professionally trained to handle fragile and expensive items, as well any which are bulky and heavy. Also, if it is raining outside,Removalists Sydney to Newcastle can wrap items such as large-screen TVs to give them protection from the elements. If you are feeling nervous about packing your electronic devices, there are professional packing and unpacking services available. Next Level Removals have professional packing services at affordable prices. We take care of your items as if they were our own, and ensure they arrive safely at your new home. We also offer an unpacking service and can have them set up for you, without you ever having to worry if they will be damaged. Electronics quickly become obsolete and upgraded. If you have any electronics you don’t wish to bring to your new home, the City of Sydney has tips for responsible rubbish disposal when moving house. For packing and moving quotes, contact Next Level Removals today on 1300 005 400 or complete our online form.